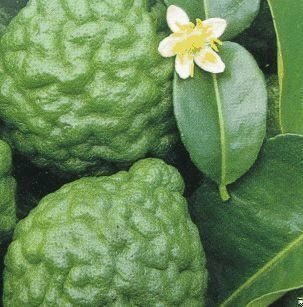 The Kaffir Lime tree is spreading and bushy with numerous, slender, willowy fine-stemmed branches. Its foliage is dense and consists of small, pale green, blunt-pointed leaves. This is a tree that was grown in the USA and will be shipping from the USA (PA) unlike many other Kaffir Citrus trees on you will find online. So no matter where you live, a citrus tree will add a sweet fragrance, delicious fruit, and ornamental appeal to your home or garden. We offer only the top choice of easy to grow Grafted Citrus varieties for your home patio/container garden. A grafted citrus, is a tree that will not get over 6-7 feet tall at maturity, but yet will bear full sized fruit. This way you can grow it outdoors for the summer, and if need be if you live in a cold climate, move it indoors for the winter. Grafted citrus trees make wonderful container plants, never needing larger than a 5 gallon pot at maturity at 3 years. These trees will begin flowering in the Spring, thus starting their fruiting cycle for you.